Bathroom ensuite to Agata bedroom - one of nine! Monnington Walk, this is a heavenly spot. Many guests walk or jog this. Suitable for the disabled: - M1 status awarded Suitable for those with limited mobility. Ground floor bedroom with shower room en suite in cottage. Accessibility Statement available on our own website (see More Information Tab) below. Contact Anna at Monnington House on 01672 563571 (mobile: 07879 886068) or complete the enquiry form. Nominated by Conde Nast Traveller as one the Best British Houses to book for the year ahead. 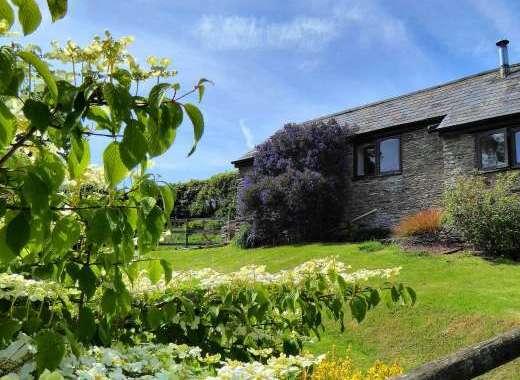 Monnington House and Cottage offers affordable luxury self-catering accommodation with an idyllic setting in an area of outstanding natural beauty close to the River Wye and Brecon Beacons. There are 9 spacious bedrooms (each with its own bathroom or shower room). We sleep from 9 - 18. All of the beds are high quality with luxurious linen. This is an ideal place to stay for large groups or families looking to discover the beauty of the Wye Valley in style and comfort. With a fabulous location and special facilities such as a games room with pool table and table football, as well as a rustic table tennis room, this holiday house and adjoining cottage offer beautiful high quality accommodation. There is one ground floor bedroom in the cottage which is ideal for those with limited mobility. The property has been assessed and awarded M1 status. (Please see the full Access statement on our website). The house is popular with families celebrating birthdays or anniversaries, groups of friends who were are university 'years ago', companies wishing to 'rethink' or brainstorm and groups of friends who love the Wye Valley and know what it has to offer. There is lovely walking (Wye Valley Walk), great cycling routes (Cider Cycling Routes) and nearby there is canoeing on the Wye. Comprised of the main house and adjoining cottage, Monnington House is stylish, luxurious and supremely comfortable. The large kitchen is easy to use and with a 4 door Aga, 2 electric ovens, 2 dishwashers and American style fridge freezer is built for entertaining. The three reception rooms, each with comfortable furnishings and warming woodburners are perfect for large groups of friends and family to relax and socialise. There is also an additional sitting room in the cottage for quiet get aways. The large dining area seats up to 20 and with garden views, is a lovely space for any occasion. Outside there are around 2 acres of gardens and grounds with plenty of space for play activities, kick a football in the playing field (2 football goals provided) and play house and badminton. There are a breadth of pubs within walking distance (20 mins walk). Please check availabilty information on calendar before contacting us. 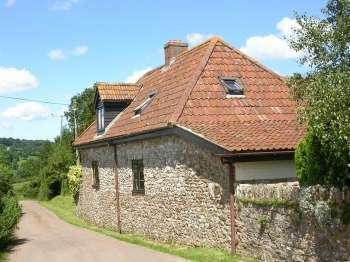 Book this cottage in Herefordshire direct with the owner or agency. For help with any questions or queries prior to booking we recommend you call the owner or email them. 'Thoroughly enjoyed ourselves in this home from home. The ambience of warmth within the house created a haven of relaxation. Thank you to all for arranging everything so quickly. We will definitely return!'. See our own website for more guest feedback and recommendations. There is a laundry room with washing machine and dryer. Lovely old fashioned larder for food storage. Large boot room with plenty of space for coats and boats. Games Room: The games room is located in the outbuiildings and has a pool table and table football. There is also a rustic table tennis room which has a concrete floor and no heating and is very popular with guests. Playing field with 2 football goals. You will be lucky enough to either look at sheep and lambs in the fields or horses. Beyond the fields you will see acres of cider orchards which is a wonderful view as the seasons progress. In the distance you will enjoy lovely hills which you could walk up or you could stroll down the to majestic River Wye and explore its wonders. Only well behaved obedient dogs (max 2) welcome (£10 per dog per day). Hay on Wye...by far the most popular destination..a lovely market town with lots to offer including a small cinema for rainy days. Ludlow....has a wonderful castle and great for food lovers Hereford Cathedral which hosts the Mappa Mundi Small breeds farm at Kington - a huge hit with younger children The River Wye....either go canoeing, or cycle by it or fish it! Local Sports: Canoeing on the Wye is by far the most popular activity followed by mountain biking and gorge walking. We receive regular walking parties who enjoy the Wye Valley Walk. Adrenalin activities are available locally. There a number of good golf courses. 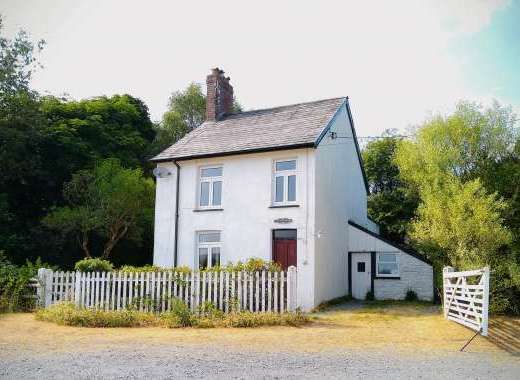 We located in a rural and peaceful situation in a small hamlet close to the River Wye. We are almost equidistant from the historal City of Hereford and the wonderful town of Hay on Wye. The property is on the edge of a family farm. There is a pub within 20 minutes walk and a farm shop 1.8 miles from the house which is outstanding. A perfect location for the cross generation family gathering.